Google Chrome Enterprise is a special edition of Chrome Browser for business and enterprise organizations, designed to keep your company's data and employees safe. Chrome is secure to the core, with defensive measures operating from the network layer through Chrome browser and web applications. The Enterprise edition of Google Chrome features "Safe Browsing" technology which safeguards your company from a range of malware, phishing, and social engineering attacks that might try to steal passwords or infect machines. If employees encounter a website suspected of being deceptive or dangerous while browsing the web, they’ll be shown a warning page. Google's special enterprise browser implements extensive networking security features to authenticate secure connections to websites, so the websites your employee's view cannot be eavesdropped on or tampered with. These features include Strict Transport Security (HSTS), preloaded public key pinning, root CA verification, and mixed script blocking. Furthermore, The browser automatically updates to ensure that your employees always have the latest security features and fixes, no action required. 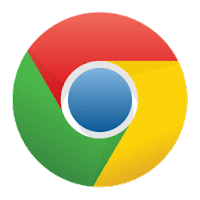 Disclaimer: Direct downloads for the lastest version of Google Chrome Enterprise 61.0.3163.91 are provided by the official software's author, we can't guarantee safety, availability or download speed. Moreover, we don't and we won't provide any pirated/illegal versions or tools. We recommend you to avoid it as these methods can harm your device. If you like the software, buy it to support the developers. (We provide software discounts for many worldwide brands).